Mouse Gesture! an interesting hidden functionality in SOLIDWORKS Simulation, however very few are aware of it and rarely use it. It gives easy access to commonly used functions using the mouse clicks. Let us see where this function is hiding. We need to just right mouse button click on the graphics interface and drag the mouse to activate it. It gives either 4 or 8 options. 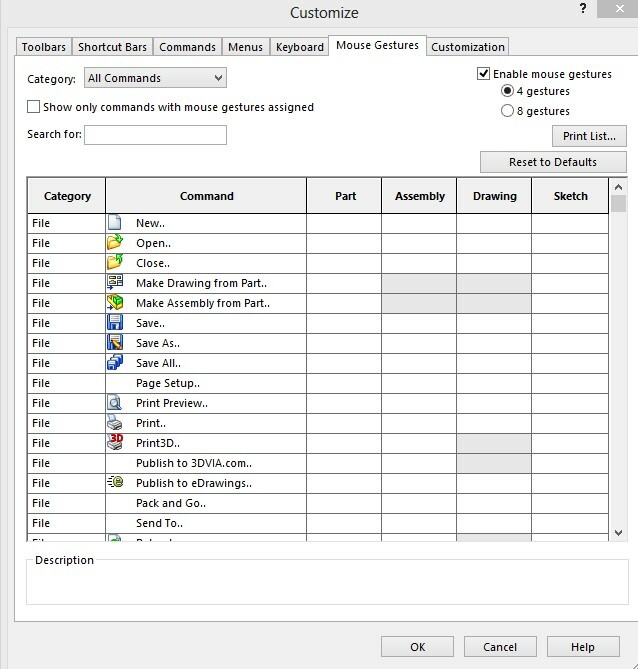 More important, how do we implement and use this feature in SOLIDWORKS Simulation? Go to Tools->Customize-> Mouse Gestures->, there is an option to enable/disable this feature. There is also an option to select the number of Gestures. 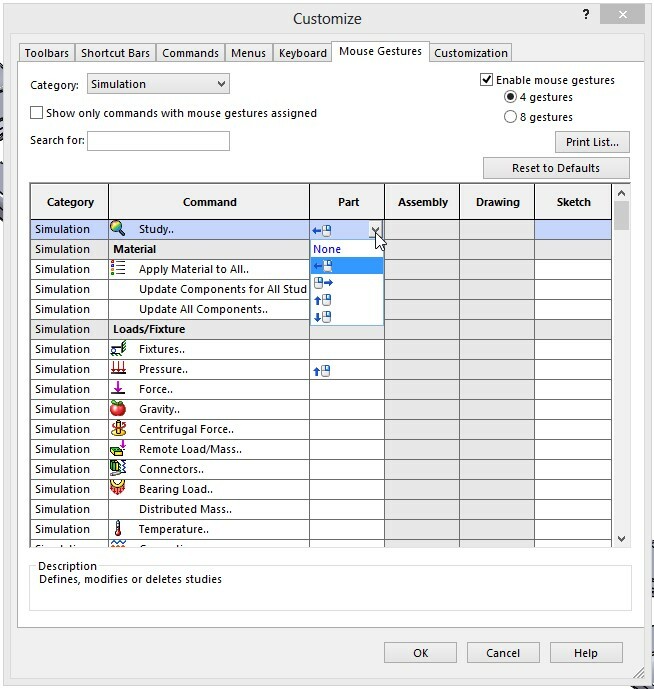 Under category, select Simulation, one can see that all the simulation commands are listed down. Now decide on which command is used most frequently and add them to gestures. Open the drop down boxes and select appropriate points. Get into any of the Simulation studies, right mouse button click and drag a bit…. there you go, you are all set, the quick controls are at the tip of your fingers. By the way, this option is available for SOLIDWORKS Flow Simulation and SOLIDWORKS Plastics as well. I will let you guys search for it, let me know if you do not find it. Kapil has 15 Plus years of experience in the field of Design Analysis and specializes in FEA, CFD, Kinematic Analysis and Plastics Injection Molding. Through his various roles he has helped many designers understand & solve design challenges using Simulation Softwares. He is working as a Territory Technical Manager in Dassault Systemes SOLIDWORKS.